Australia-listed gaming operator Silver Heritage Group Ltd is launching a fully underwritten accelerated renounceable entitlement offer, the firm announced on Friday. 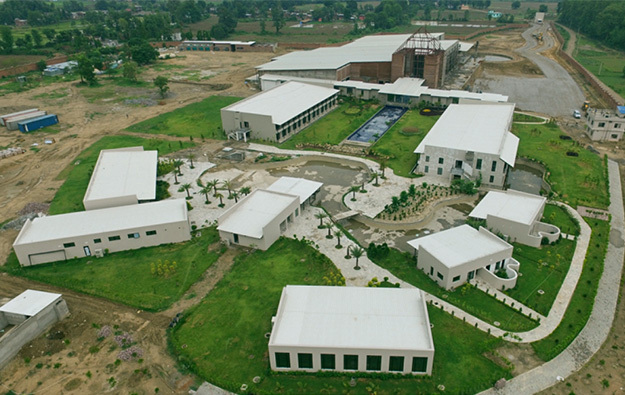 The funds will be used to complete its Tiger Palace Resort Bhairahawa casino resort, a scheme being built near Nepal’s border with India, the company added. “The aggregate gross proceeds of the entitlement offer, expected to be approximately AUD19.0 million (US$14.4 million), will be used to fund completion of the construction and fit out of Tiger Palace, to provide working capital, and to pay the costs of the entitlement offer,” Silver Heritage said in a Friday filing to the Australian Securities Exchange. Under the entitlement offer, eligible shareholders are entitled to subscribe for two new Silver Heritage shares for each existing share held as of July 4, at an offer price of AUD0.05 per new share, the company stated. The offer price represents a discount of approximately 77.3 percent to the closing price of the company’s shares on the Australian Securities Exchange on February 26, before trading was suspended. The entitlement offer is fully underwritten by financial services company Baillieu Holst Ltd.
Silver Heritage “has encountered unexpected delays and cost overruns in relation to the completion” of Tiger Palace (construction site pictured), the firm said in its Friday filing. Those had already been flagged by the company in February. The group – which runs casinos in Vietnam and Nepal – stated that factors contributing to the delays included: “variations to the original plans for the casino and public areas”; “variations to the original construction plans and land improvements”; “issues and costs arising from managing local contractors”; and “inefficient project management and site management”. To address the situation, Silver Heritage appointed in March a new project management team.